Marjolein Lanzing wins IkSchrijf Essay Contest! The OZSW congratulates OZSW phd-member Marjolein Lanzing with winning the IkSchrijf Essay contest! Marjolein is a PhD candidate at Eindhoven University of Technology, Philosophy and Ethics, School of Innovation Sciences. 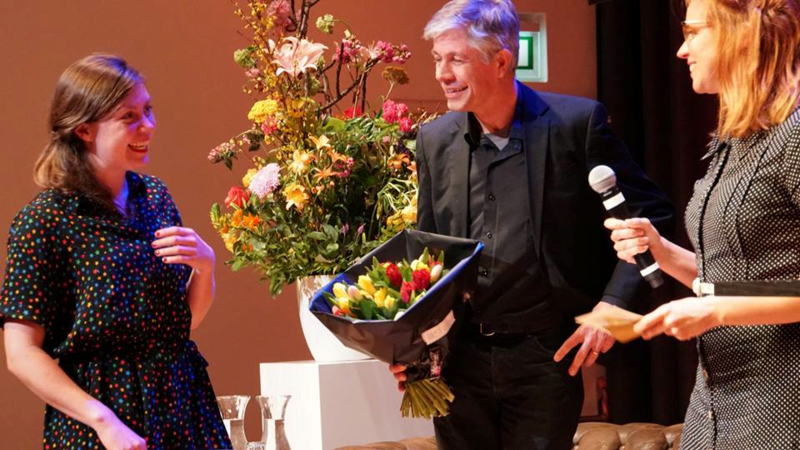 She won the first prize in the IkSchrijf essay contest with her controversial essay ‘De Vrouw en de Stofzuiger’ (The Woman and the Vacuum Cleaner) in which she argues that ethics plays (and should play) a crucial role in educational programs at universities of technology. In her essay she focuses on the ethical aspects of technological progress. Lanzing won € 1000,- and a publication in the anniversary issue of Filosofie Magazine en iFilosofie, which will appear this fall. Marjolein was clearly very happy and surprised with her prize, which means that she was the best out of 263 essays that the jury received. The IkSchrijf essay contest is an annual contest for woman only. See also www.ikschrijf.com. The full article will appear this fall.